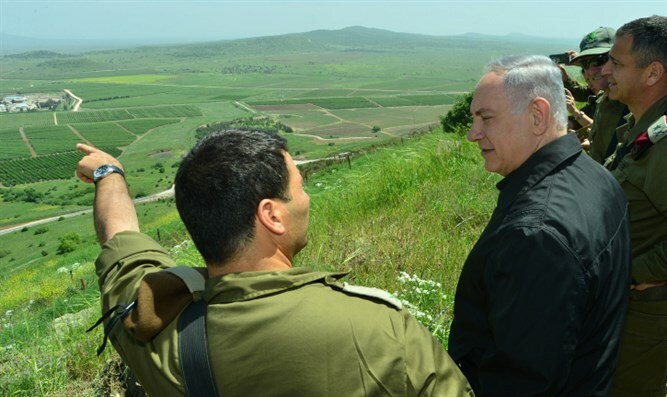 PM lauds US decision to change position on UN’s annual rejection of Israeli annexation of Golan Heights. Prime Minister Binyamin Netanyahu praised President Donald Trump on Sunday, over the administration’s decision to vote alongside Israel and against a United Nations General Assembly resolution condemning Israel’s 1981 annexation of the Golan Heights and declaring the move “null and void”. “We have been talking with our American friends for some time about the present administration’s new policy at the UN,” Netanyahu said Sunday at the weekly cabinet meeting. Israel captured the Golan Heights from Syria during the June 1967 Six Day War, after Syrian forces attacked Israeli towns in the neighboring Galilee region from the strategic high ground. While Israel refrained from extending sovereignty over the Golan immediately after the war as it did with Jerusalem, in 1981 the Menachem Begin government annexed the area in a move the US, UN, USSR and other European powers refused to recognize. Every year, the United Nations General Assembly has passed a symbolic resolution condemning Israel for its annexation of the Golan, calling the move “null and void,” and urging Israel to reverse the decision. While the US has in past years voted for the resolution, reaffirming the US’ refusal to recognize Israeli control over the Golan, on Friday the American mission to the UN voted against the measure. The resolution was passed by a supermajority of 151 to 2, with only the US and Israel voting against, while 14 other nations abstained. US Ambassador to the UN Nikki Haley on Thursday announced that the US would vote “no” instead of abstaining, calling the resolution “useless” and “plainly biased against Israel” and citing concerns about Iran’s military role in Syria to oppose the measure. “Further, the atrocities the Syrian regime continues to commit prove its lack of fitness to govern anyone. The destructive influence of the Iranian regime inside Syria presents major threats to international security,” she said in Thursday’s statement.